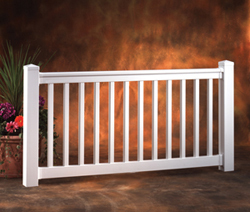 Manufactured with state-of-the-art co-extrusion technology which outperforms most other fence materials. Many styles to choose from that will enhance the look of and increase property values. Vinyl compound blended with UV inhibitors ensure a fade resistant and weatherable surface that is easy to clean. 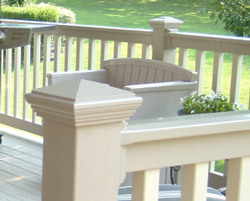 Vinyl compound blended with impact modifiers that create a durable product that will not chip, crack, splinter or peel. Low maintenance never needs painting or staining, cleans easily, saves you time and money. 20 year warranty assures a top quality investment in your property. Tested to meet or exceed National Building Codes including ICC. 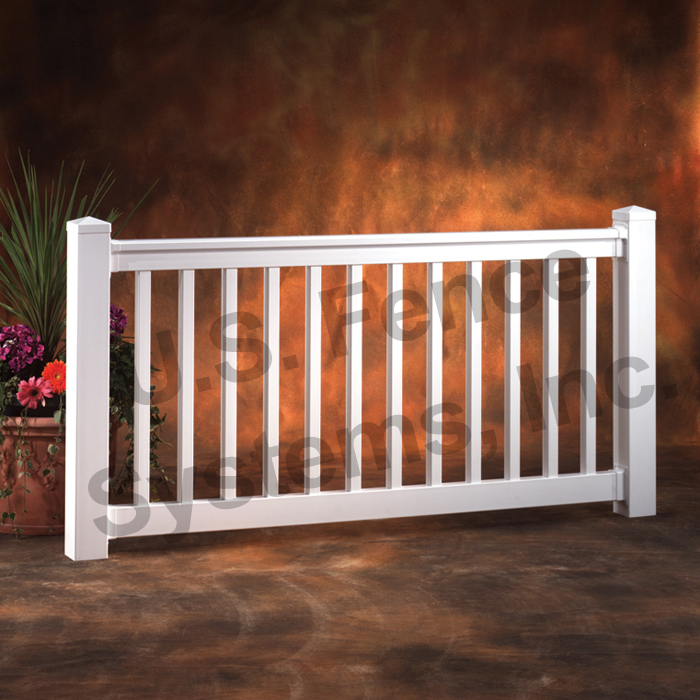 All railings have Aluminum reinforced top and bottom rails for optimum security. *Please Note that all Post Caps are available in White or Almond and 4" or 5". *Please Note that all Accent Lights are available in White or Almond. 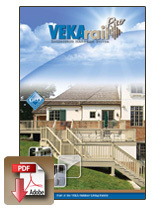 Download and Print this brochure to learn more about our railing, its warranty, how its installed, how its cleaned, and more.